Dare to Fly!! 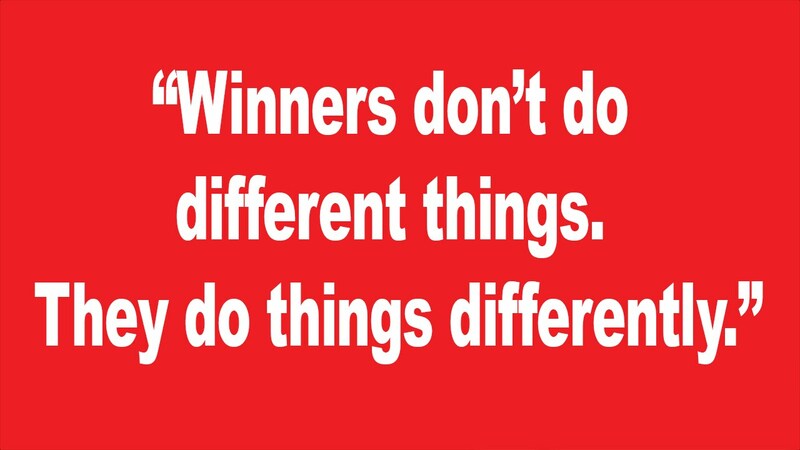 : Doing Things Differently!! Very few people know what to do in life. Even fewer people know how to do it. The way of doing a thing makes all the difference. 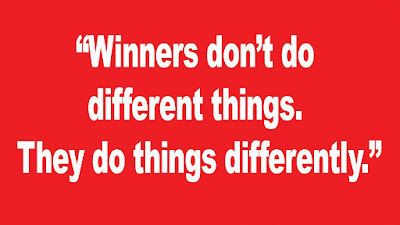 Shiv Khera says: “Winners don’t do different things. They do things differently.” Work becomes worship if it is done with devotion. And worship becomes mere work if it is done like a routine affair. If you cage a bird, it can fly away; if you tame a squirrel, it can run away. It is much better to plant a big tree. Both will return to sing and play. This is what doing differently means. If a tiny mosquito in the mosquito-net buzzes in your ears and disturbs your sleep, why cannot you, with your feeble voice, break the slumber of the world and wake it up? Even ordinary people can do extraordinary things. Small acts and deeds can also make a big impact on the world around you. But you have to adjust your focus and see things in a different light. Change your perspective and you will find a new purpose in life. Comforts and conveniences do not prove a man’s worth. Challenges and crises test the mettle of a man. So, convert occasions into opportunities, problems into possibilities and challenges into chances. If you have the ability to make your stumbling blocks as your stepping stones, you can be called a real hero. Winners never quit and quitters never win. You are born to win and you have to win the battle of life. Someone said beautifully: “Great people build monuments from the stones that their critics throw at them.” You can also build the Taj Mahal of your victory and triumph. Just start and do your part. Come out of your comfort zone, take calculated risks, plan and prepare, visualize and actualize and make a world of difference.